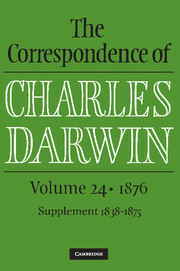 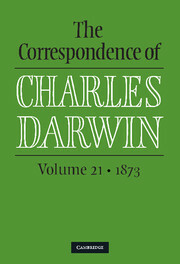 This volume is part of the definitive edition of letters written by and to Charles Darwin, the most celebrated naturalist of the nineteenth century. 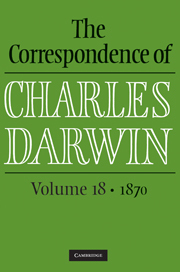 Notes and appendixes put these fascinating and wide-ranging letters in context, making the letters accessible to both scholars and general readers. Darwin depended on correspondence to collect data from all over the world, and to discuss his emerging ideas with scientific colleagues, many of whom he never met in person. 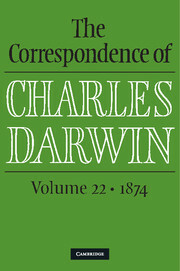 The letters are published chronologically: volume 25 includes letters from 1877, the year in which Darwin published Forms of Flowers and with his son Francis carried out experiments on plant movement and bloom on plants. 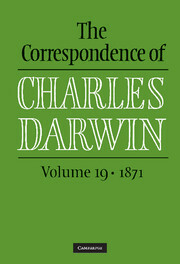 Darwin was awarded an honorary LL.D. 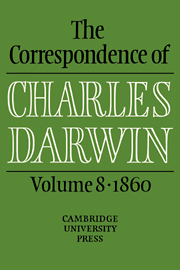 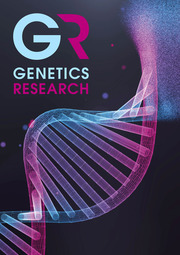 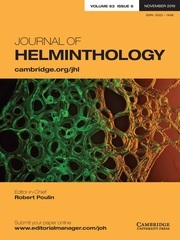 by Cambridge University, and appeared in person to receive it. 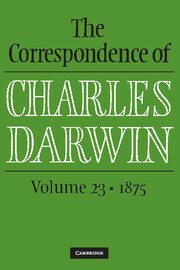 The volume contains a number of appendixes, including two on the albums of photograph sent to Darwin by his Dutch, German, and Austrian admirers.